Coca cola, I have a proposal. You have 9million followers if I can get 2million likes, you have to change one of the colors on your cans to pink. And you have to donate 30% of the profits to research for the cure of breast cancer. Nearly all of them have been posted in the past week. 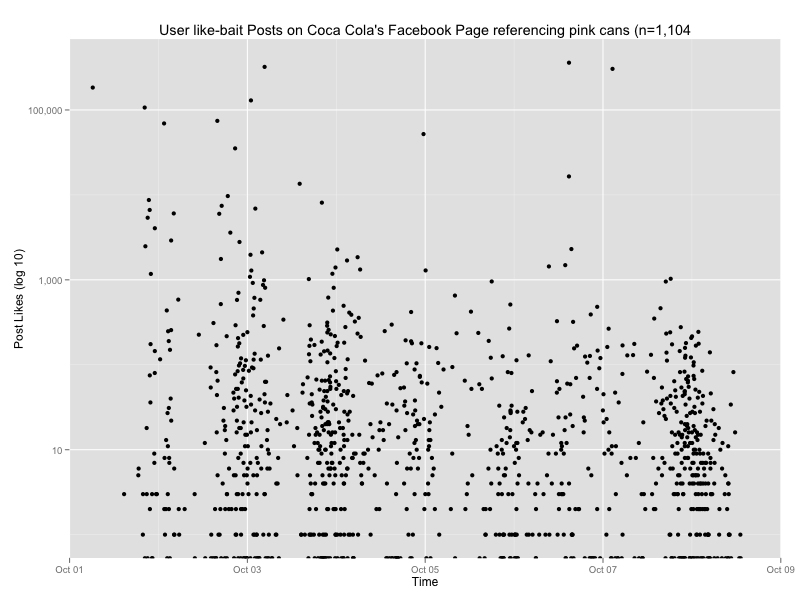 The chart above shows (on a log scale) how many Post Likes each of them has received. There’s a little bit of evidence (the “9million followers” error — Coca Cola had more than 52m followers when this was posted) that this meme has jumped here from another Page.